A deep cleaning, clean rinising maintenance & preparation car wash shampoo. Perfectly compliments ceramic nano coatings by resetting their hydrophobic & self cleaning properties with each use. 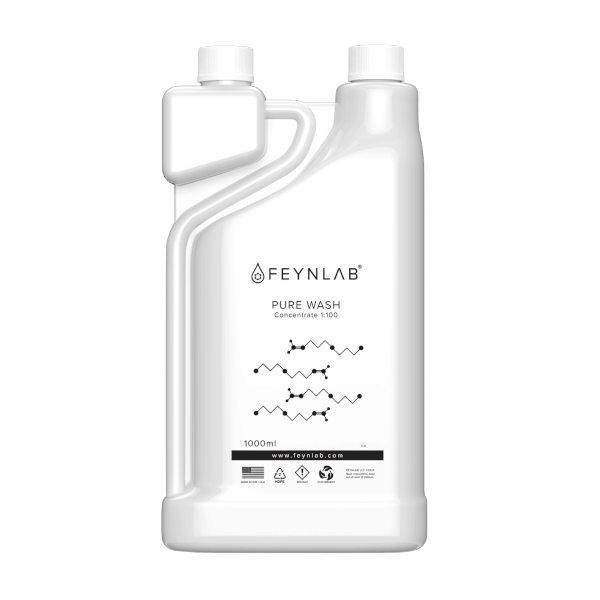 FEYNLAB® PURE WASH is an impressive deep cleaning car wash soap! IDEAL for the Preparation & Maintenance of Ceramic Coatings because NOTHING is left behind on the surface. Engineered with great foaming and contamination encapsulation technology, PURE WASH’S true power lies within Feynlab’s Intelligent Cleaning Technology which mechanically latches onto contamination particles for ease of removal while also chemically breaking them down. PURE WASH is a perfect preparation step for regular vehicle maintenance washes, or the application of ceramic nano coatings, paint sealants, and wax. PURE WASH is the natural choice to deeply clean surfaces, maintaining the optimal sheeting and self cleaning characteristics of any coated vehicle (all brands). Most car shampoos leave behind considerable polymers which interfere with a coating’s true water behavior. When used as Step 1 within the FEYLNAB Optimal Bonding System for Coatings, PURE WASH functions as a true deep cleanser. The nano particles penetrate below the surface removing deep embedded contaminants from the surface with much greater effectiveness than traditional car shampoos. This is step 1 in promoting more effective bonding and performance of ceramic nano coatings. Safe for all Vehicle Exterior Surfaces: Paint, Plastic, Rubber, Carbon Fiber, Carbon Ceramic Brakes, Anodized Aluminum, Etc. Intelligent Cleaning Technology: No Fillers, Junk Chemicals, Builders, or Caustic Residue Left Behind. 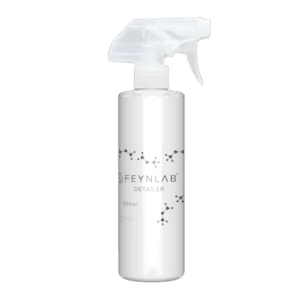 Foam Cannon: (max dilution): mix 1oz (30ml) of FEYNLAB® PURE WASH into a 32oz (1L) container. 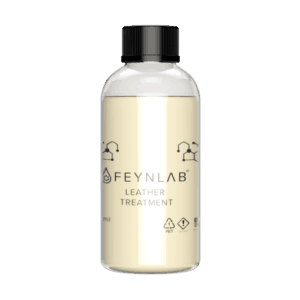 Traditional Bucket: mix 1oz (30ml) of FEYNLAB® PURE WASH to every 2 or 3 gallons (7.5 or 11L) of water. Place vehicle in a well lit, cool, contamination free environment out of direct sunlight. Thoroughly Rinse vehicle of all loose dust and topical contamination. Apply a generous amount to vehicle surfaces via foam cannon, foaming trigger bottle, or foamy wash mitt. Using an appropriate wash mitt, gently and thoroughly clean the surface — top to bottom. Rinse the vehicle thoroughly, from top to bottom, removing all excess PURE WASH from the surface. Dry vehicle with absorbent Microfiber towels, compressed air, or air blower.